Baseball season is almost here, so it’s time to nail down your team’s uniform for the year. True baseball fans know that socks are the centerpiece of a baseball player’s image on the diamond. While a lot of players and teams assume their socks have to match their hats, it’s actually a great idea to think outside the box when it comes to the color of your socks. Below, take a look at some of our favorite color combinations. The Boston Red Sox have become one of the baseball’s all-time best franchises wearing red socks every step of the way -- need we say more? Red symbolizes power, courage, and determination, three traits you’ll need if you expect to pick up wins this season. Our triple stripe stirrups look great in red! Baseball is America’s pastime, so it’s no surprise that red and blue are at the top of the list when it comes to colors for baseball socks. The color blue symbolizes the natural beauty of the sea and the sky, and it’s also associated with prestige and royalty. MLB clubs like the Kansas City Royals, Chicago Cubs, and New York Mets wear blue socks in most of their uniform configurations. Our Packer Custom Sock looks sharp with blue as the primary color. Black uniforms have been intimidating opponents across the sports landscape for decades. They’re such a bold, iconic look that even the Chicago White Sox wear them on the field (plus, they’re much easier to clean than white socks!) The color black conveys authority, experience, and expertise in your sport (think black belt in karate). Our FeatherEdge Baseball Sock delivers style and performance in black. 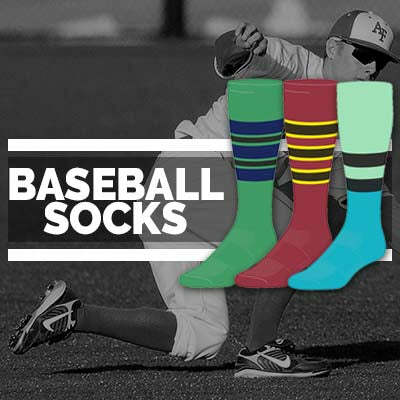 Green baseball socks aren’t as common as red, blue, or black, but they’re a great option if you want to stand out among the other teams in your league. Green is associated with nature, prosperity, and energy. The Oakland Athletics, one of Major League Baseball’s most storied and unconventional franchises, have made their mark on the sport in green socks. We’re big fans of the Ranger Baseball Sock in green. Okay, you caught us: stirrups aren’t a color, but any discussion of baseball socks would be incomplete without them. 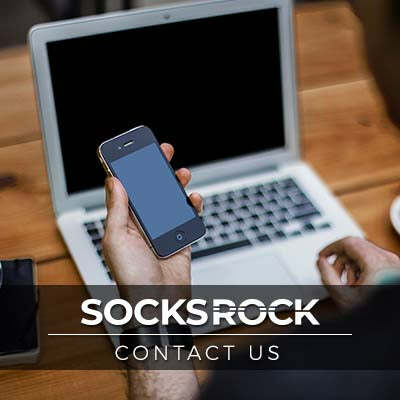 The look of stirrups has a powerful association with baseball, so choosing stirrups for your uniform elevates your look from “athletic sock” to distinctly “baseball sock.” Whether you love stirrups or prefer conventional athletic socks for your baseball team, we’ve got you covered at Socks Rock!